Though invented more than 200 years ago, the electrocardiogram (ECG) is still the most important non-invasive test used in clinical practice. 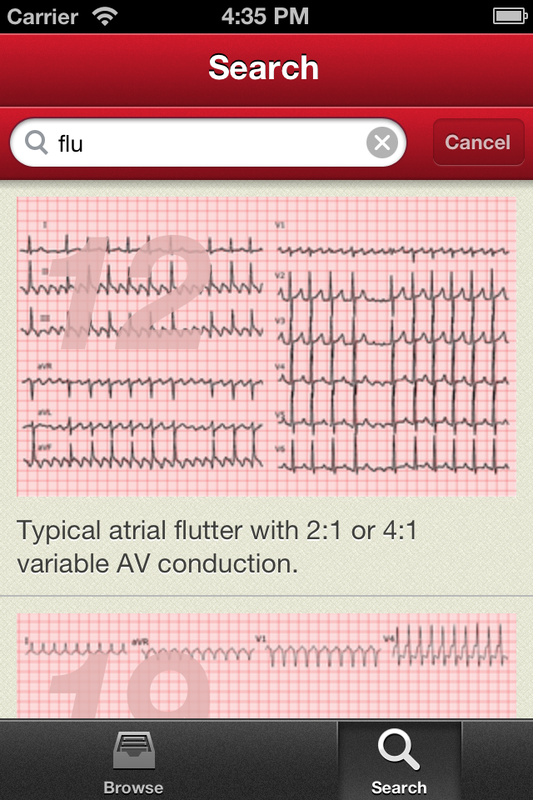 This application has been designed to develop and improve your ECG skills. It is not only designed for students and trainee doctors, but also for trained practitioners and cardiologists to help them perfect their expertise. 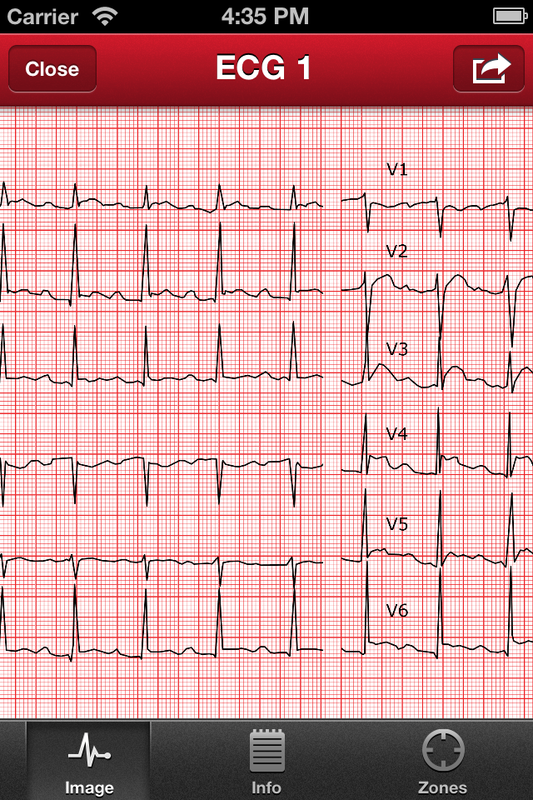 You will use an interactive platform with ECG tracings of varying levels of difficulty (from very simple to extremely complex tracings). 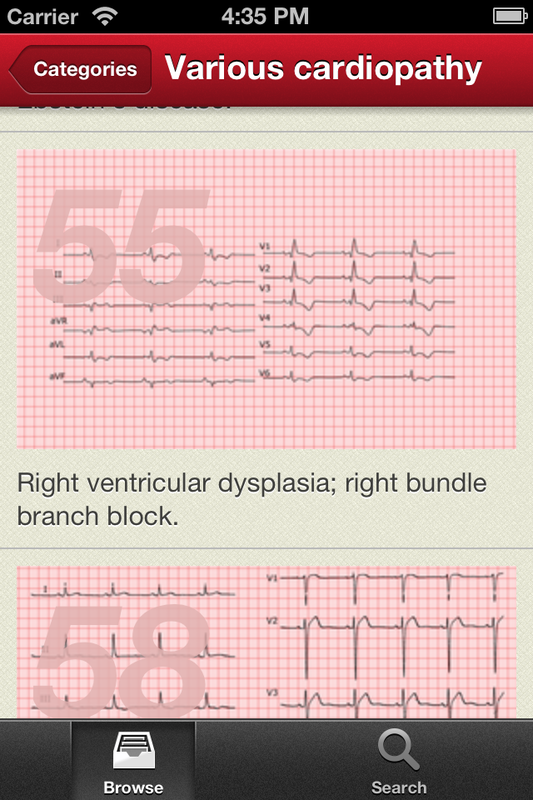 You have access to electrocardiograms presented with a description, a diagnosis and comments. The electrocardiograms have been interpreted by four ECG experts cardiologists and the tracings cover all of the most important aspects of electrocardiography. Available on both iPhone and iPad. 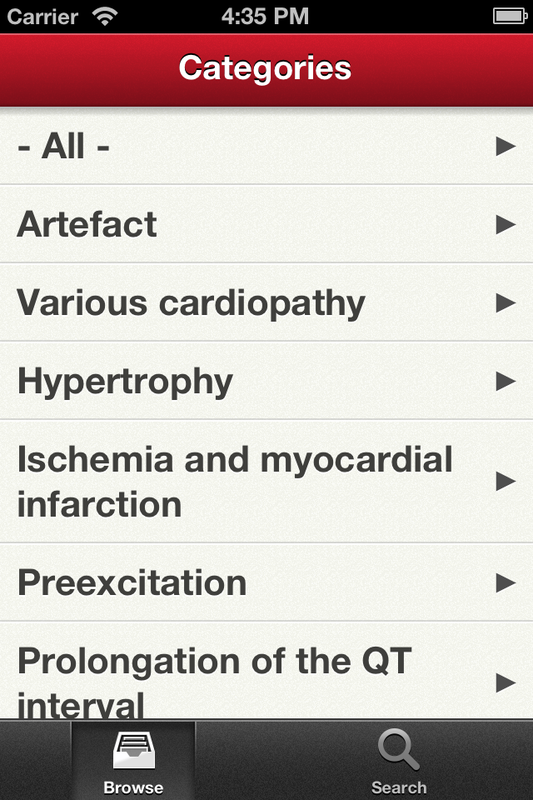 ECG tracings of arrhythmias, conduction abnormalities and various cardiac pathologies. A systematic interpretation of the tracing is proposed. A final comment and diagnosis is provided for each tracing. Interactive zones allowing the user to focus on the most important features of each tracing. English, French and German localization.